Alvaro Zinos-Amaro: TRAVELER OF WORLDS coming in 2016! TRAVELER OF WORLDS coming in 2016! in them magazines. Just kidding. 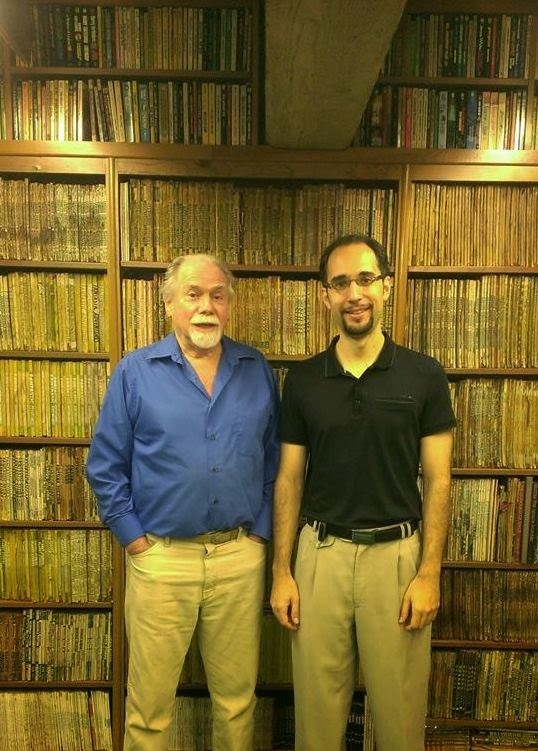 "I'm delighted to announce Alvaro Zinos-Amaro’s Traveler of Worlds: Conversations with Robert Silverberg, coming from Fairwood Press in 2016. In addition to exploring Silverberg’s career, now in its sixth decade, this collection of transcribed conversations will delve into aspects of Silverberg’s life—such as his extensive travel, passion for film, opera and classical music—not covered elsewhere. A decade-and-a-half-long friendship, and working together on When the Blue Shift Comes, afforded Alvaro the opportunity to speak at length with Silverberg. The result: a remarkably candid series of conversations that will be of interest to science fiction readers and anyone curious about the writing life. [Note: Throughout 2015, Alvaro will also be fielding reader questions through Facebook to include in additional dialogues. More info on that as it becomes available!]" Needless to say, I'm incredibly excited about this project! As Patrick notes, the conversations with Bob for this book aren't quite done yet, and I'll be taking reader questions to be included in additional dialogues throughout 2015. You can email me with any suggestions, though I'll be creating a FB group in the coming months. Once I have the transcripts of all the conversations, I'll be editing them and sequencing them as smoothly as possible. My goal is to try to preserve as many of the conversation's natural "beats" as possible, but above all I want to make sure the dialogues flow, while sticking to certain broad subjects. So far my outline calls for three main thematic sections, with a total of eight chapters split among them, three, three and two. My plan is also to add a chronology of major works and life events, which I've already started working on. It's weird trying to summarize someone's eight decades of life in a page or two--and really puts things into perspective.